Whether you’re building a new home or renovating you current one, when it comes to the kitchen, consider glass-door cabinets. Glass offers a visual contrast to the wood, metal, and stone that normally predominates in the kitchen, and no matter what your personal style, there’s a glass for you. If your home is contemporary, and you want that look to continue in the kitchen, glass-front cabinets will bring a sleek and stylish look to the room. Add some sparkle to the room as you showcase your beautiful pieces. If you have a Manhattan kitchen, it could be equally important that glass-door cabinets are great for a small space by increasing a sense of openness and light. If you want to welcome the light into your kitchen, and you’ve always liked the look of glass-door cabinets, but you’re not the neatest person in the world, frosted glass-doors could be the answer for you. Frosted glass can be made in a number of different ways, but the most common are sand blasting and acid etching. The opaque finish gives you the benefits of glass while the articles in the cabinet are only distinguishable by shape. An added benefit is that they might make you more aware when you put the dishes away. If you have peninsula cabinets in your Brooklyn home, you can open up the kitchen and dining room with a wall of two-sided cabinets. They’ll contribute to the visual flow, and they allow light to filter into the kitchen, making the space feel brighter. 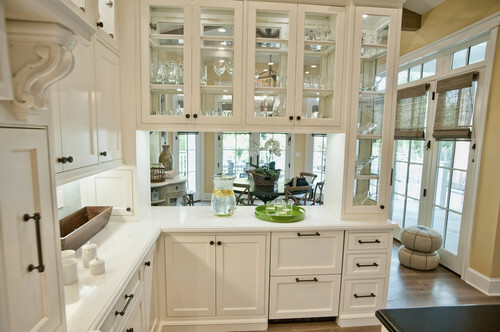 Dishes, bowls, and glassware are easily accessible from either the kitchen or dining room side. The peninsula cabinets provide the double function of separating the cooking space while allowing a free flow to the adjacent dining room. 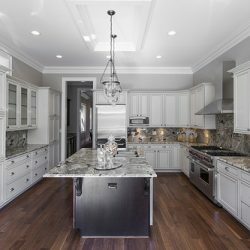 Back-lighting can bring your items out from the shadows and can create a glow in your kitchen that takes you back to the beauty of your glass-door cabinets, no matter where you are in your Queens home. LED cabinet lighting is efficient, cooler to the touch than incandescent types, wastes less energy, and is gentle on the items being displayed. Back-lighting creates a pleasing visual effect. As you contemplate back-lighting, consider how many cabinets you’ll want back-lit and how you’ll want to turn the lights off and on. You can opt to control the lights with just a switch, and you’ll have to decide if you want the lighting to be hardwired, plug-in or battery operated. You’re already expressing your personal taste by considering glass-door kitchen cabinets, and the choices of decorative glass will further define your living space. You can choose from a variety of patterns and finishes that are visually interesting, like frosted, etched, stained, colored, reeded, bamboo frost, Niagara or painted glass. 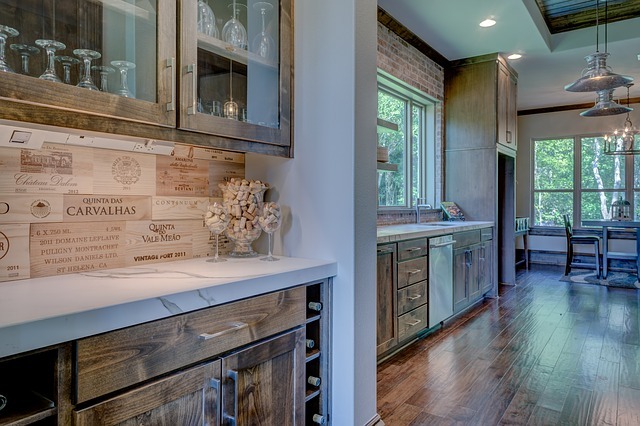 There’s a glass for every taste, from modern to traditional. Leaded-stained-glass door inserts create an old-world feel, and there are many options to choose from. If you go for the traditional, choices range from a beveled Gothic arch to Art Deco or Art Nouveau. 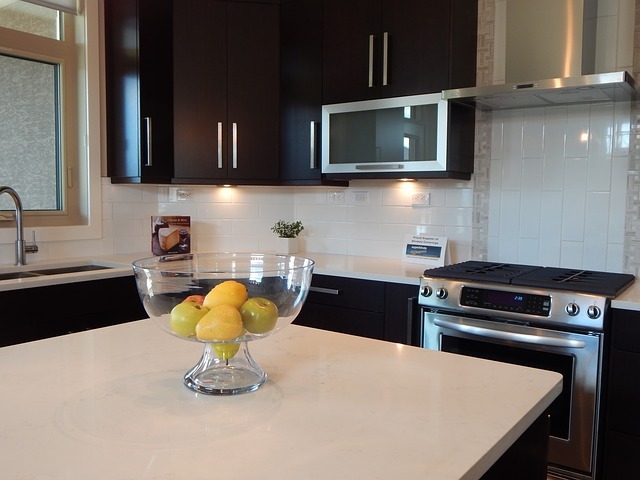 You can peruse the Art Glass alternatives available, or you can customize your own glass inserts. Transform your kitchen by adding the sophistication and beauty of stained glass doors on your kitchen cabinets that will not only reflect the light, but your personality as well. 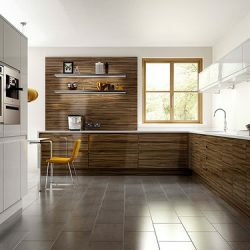 Building or remodeling a kitchen is a major undertaking, and if you’ve always liked the look of glass-door kitchen cabinets, you should at least explore the option. You pay for it once, but you’ll enjoy it every time you walk into the room. 12 Steps for Organizing Kitchen Cabinets Kitchen Cabinets: Should You Reface or Replace?